$3.49 to $159.99 & FREE Shipping on orders over $59 $35. Also referred to as B Saaz hops, this Saazer descendent is mostly used for its bold aroma of of lemon, lime and tropical fruits. A fantastic addition to Lagers, Belgian and English Ales, Motueka is also a great way to spice-up your favorite IPA recipe. Good hop flavor late addition. I used to live there and it reminds me of a people and places close to my heart. Near what I need for a recipe. Dry hop for a nice farmhouse saison. Nice aroma and flavoring hop. Melon, passion fruit, hint of citrus: it’s all here. 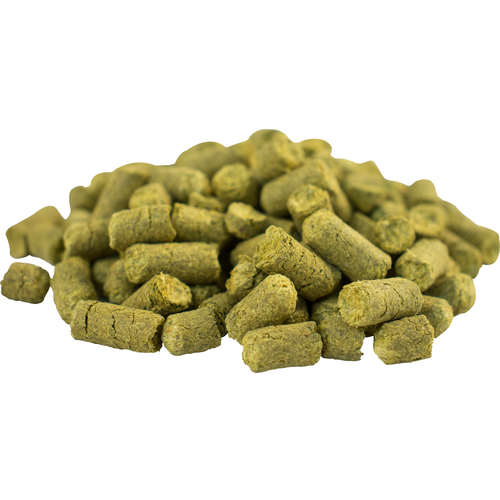 Used these hops in a hazy IPA to bring a citrus zest flavor to the beer, it really shows through in the smell with MoreBeers quality Motueka pellets hops. Amazing hop these are one of my favorite hops, I had the hops in my freezer for a couple of months and when I opened the package "BAM!" That amazing Motueka aroma, love these hops!! Motueka hops have become one of my favorite hops. I like to use them at 3oz 140 degrees and whirl pool them down to about 80 deg. Then I dry hop,3 oz, in kegs, starting about 5 days before serving and leave the hops in until the keg is dry. Used 8ozs in a 6 gal single hop IPA, 5 in the boil/flameout, 3 for dry hop. Very subtle tropical and citrus. Kinda underwhelming. However for a blonde, belgium, or pils this hop might be what your looking for. One of my favorite hops to use, fruity and citrusy but completely different from typical citrusy american hops. works very well with a wide range of hop based styles.